“Clean With Passion For Now” might be the it-drama of November 2018. The cast of this romantic comedy sounds very exciting. 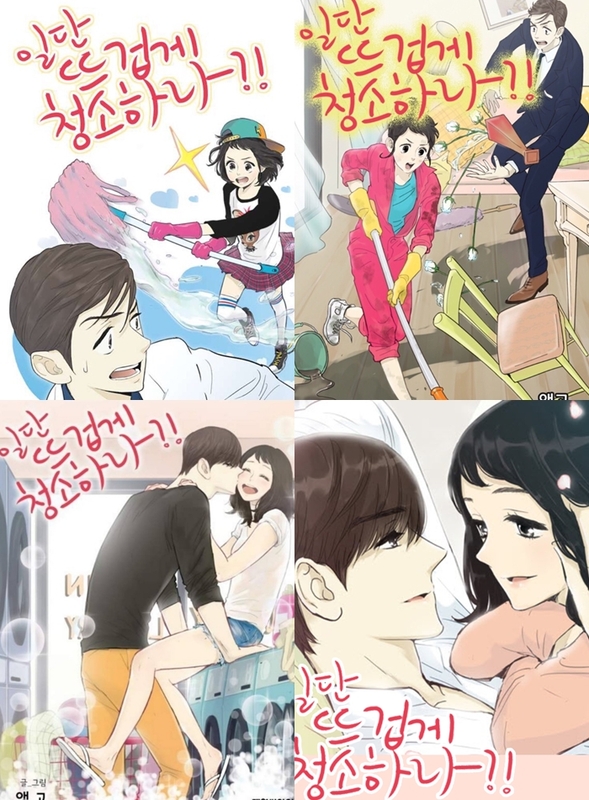 It is based on a webtoon of the same title published in 2015. Kim YooJung, at the beginning of the year, halted her activities because of serious health issues. She underwent thyroid surgery and now almost recovered. She started her activities again. She will be back to the small screen since the popular drama “Love in the Moonlight” (2016). Yoon KyunSang is a rising Hallyu star. The model turned actor started in popular dramas such as “Pinocchio” (2014), “Six Flying Dragons” (2015), “Doctors” (2016) and “The Rebel” (2017). The romance that happens after a job seeker and a CEO with very different opinions on cleanliness meet. For her, survival is more important than cleanliness. A job seeker full of energy that gave up on being a human. She wears dirty clothes, has untidy hair, etc. She is working hard with several part-time jobs and when she gets back home from such a hard day she does not clean. OhSol was an athlete from elementary to middle school. However, when she entered high school, her mother passed away in an accident, and she gave up sports. She has a 3 years one-sided love for her university sunbae -named Lee DoJin- but she gets to know to the truth about him and ends it. A flower boy and CEO of a cleaning company that thinks that cleanliness is more important than his life. He looks perfect on the outside but he has a deadly weakness: mysophobia. His obsession with cleanliness started when he was young. To fix his illness he started his company but no one can change easily. As time passed by, he is completely devoted to make the world cleaner by working. Because of his obsession, he has never had a proper relationship (love and family). Cheery ajusshi (or uncle in Korean) that helps Gil OhSol. 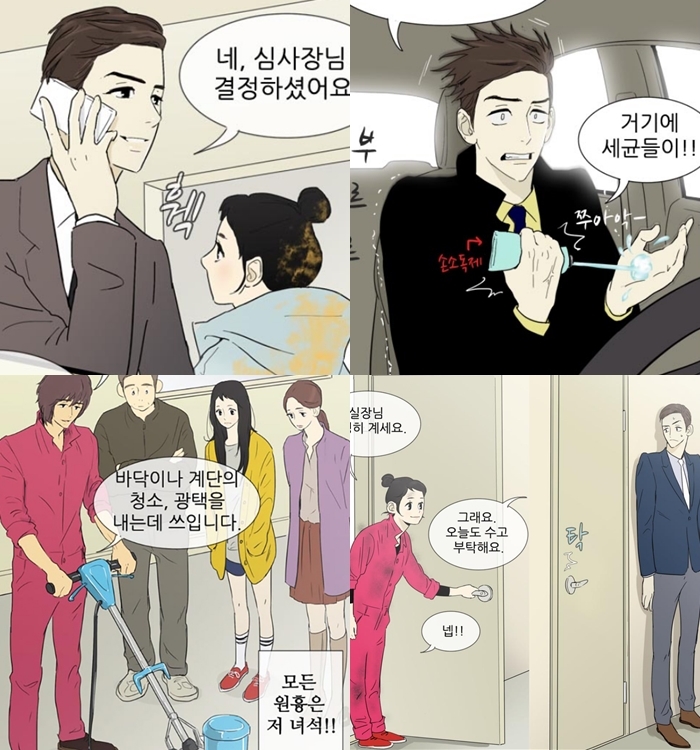 (The character is different from the webtoon). He is a mysterious unemployed man living in the house on the rooftop of the building. You can have look at the webtoon here and below. The drama was delayed earlier this year because Kim YooJung was diagnosed with hypothyroidism. Ahn HyoSeop had to leave his role in the drama and was replaced by Yoon KyunSang.